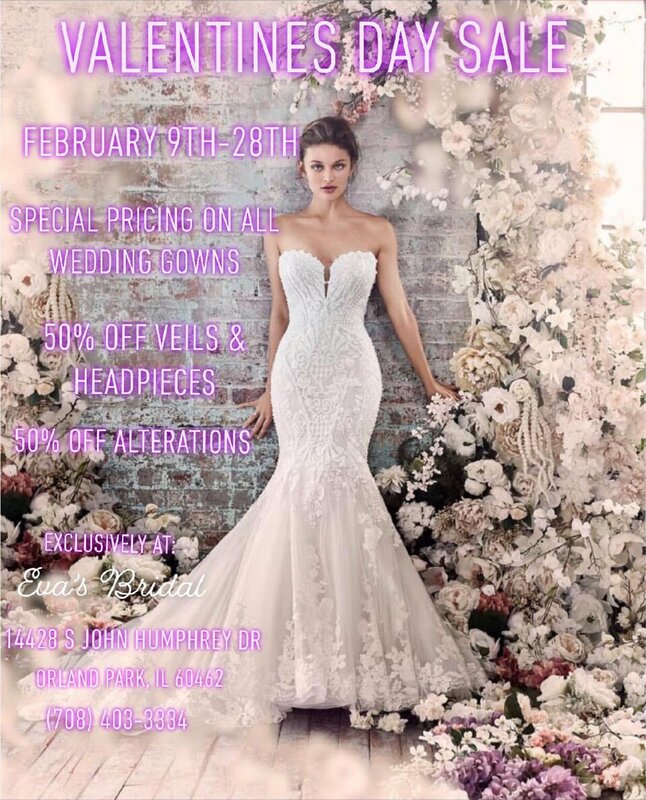 Evas Bridal of Orland Park is an award-winning bridal boutique in Orland Park, IL that has been offering a unique experience to bridal parties since 1988. We are a Southtown Star’s Best of Chicago’s Southland awardee in both 2013 and 2014. Visit our bridal boutique see wedding gowns from top-of-the-line and exclusive designers, including Demetrios. Bring your entire bridal party and have a one-on-one consultation with experienced bridal consultants. We also carry a fine collection of gowns for the mother of the bride, bridesmaids, and flower girls. With our experienced alteration department, having the right bridal accessories, such as veils, headpieces, and sashes, is not a problem. We help you turn your dream wedding into reality. Why Bridal Parties Love Us? You’ve found the love of your life, let Evas Bridal of Orland Park do the rest. Visit us or call (708) 403-3334 if you want to consult one of our knowledgeable and creative bridal consultants. We will make sure that your entire bridal party will have a unique experience through our professional and friendly approach. We pay attention to all your bridal needs. Let us take care of your dream bridal gown and dresses for your entire entourage.